Microsoft isn't known for its high style in wearable tech. The Band 2 is a better fit than its first fitness tracker but still no belle of the ball. So it might surprise you that, according to a patent unearthed by Patently Mobile, Microsoft is working on its first piece of smart jewellery. The smart ring in question would be a companion device to a wrist based wearable like a smartwatch and the system uses a depth sensor to allow the watch to be controlled by gestures in the air above it. In other words, if you are wearing Microsoft's smart ring concept, you don't need to prod at tiny touchscreens on smartwatches and hybrid trackers to move around the UI. Microsoft's depth sensor technology, similar to Kinect, could be added into smartglasses or AR headsets such as HoloLens to turn a smart ring into a control device for any device you wear. The ring might be worn on one or more of a user's fingers - trendy - and the device will wirelessly transmit the gestures to the device. So you could move or slide your finger across the air, bend it or rotate in circles. The ring is also described as "pressure sensitive", although we're not entirely sure what that means but the patent makes it clear that the combination of the ring and the depth sensor gives you the benefits of a touchscreen without an actual touchscreen. As for looks, there's not much to go on from the patent sketches but one of them does feature what looks like a stone on top of the band. Blingy Microsoft ring anyone? 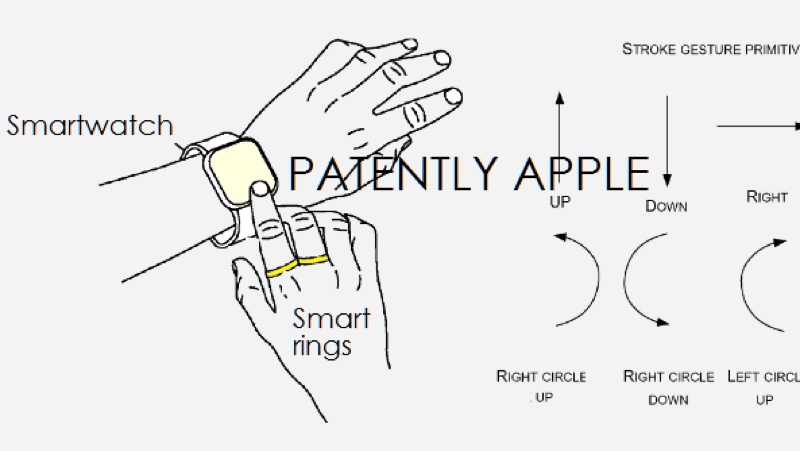 Apple is also reportedly building a smart ring, which according to the patent is a discreet and more ergonomic way of interacting with touchscreens and touchpads. The concept was interestingly dissected by Vinaya's founder Kate Unsworth, the brains behind the simple and chic Altruis modular smart jewellery, which only handles alerts, not controls. "In many ways, they describe a diffused version of the Apple Watch," Vinaya's statement read. "A tiny computer the size of a jewel that keeps us even more connected, even more distracted." Neyya, a startup which began life as an Indiegogo campaign, has also just launched a smart ring, which features a smart touchpad on top for swipe controls for phones, Macs and PCs. It's a chunky bit of smart jewellery but perhaps that isn't surprising considering it's designed to allow you to move your thumb across the top of the black, polycarbonate 'stone'. Look out for a review on Wareable soon.